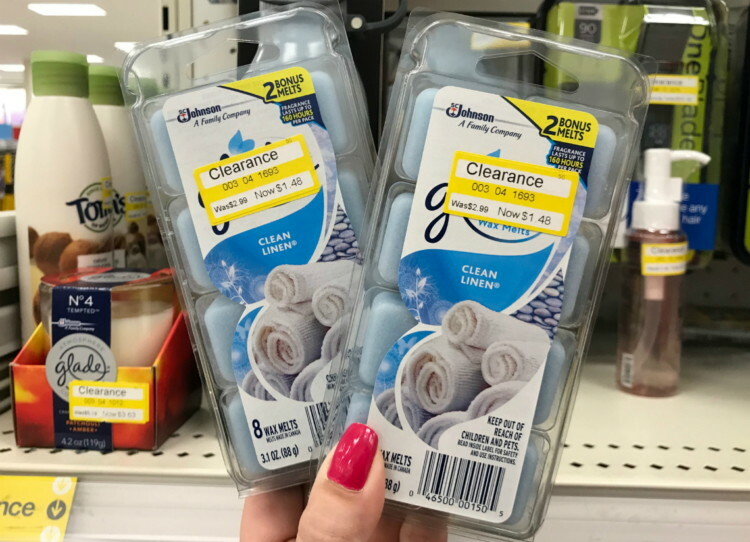 The Target Saver: Target: Clearance Glade Wax Melts, Only $0.98! Target: Clearance Glade Wax Melts, Only $0.98! To find this item in your store, go to brickseek.com and type in your zip code along with the nine-digit DPCI inventory number: 003-04-1693.